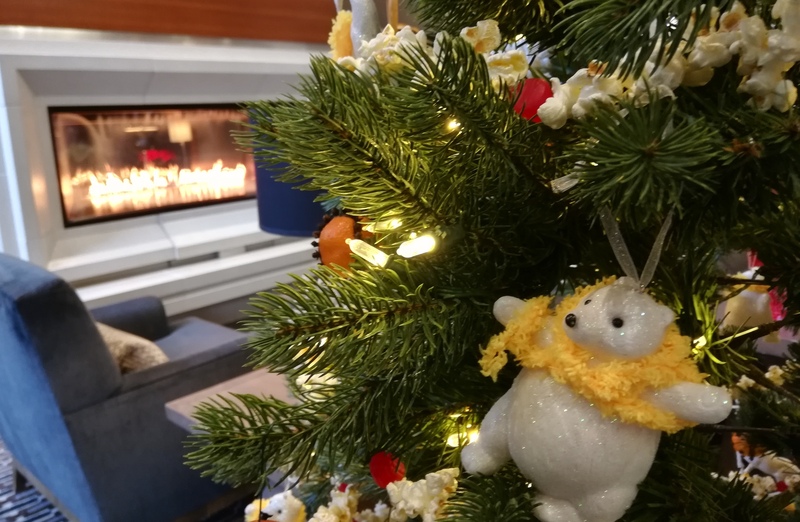 From dried orange slices to stuffies, toy trains to signs, the Christmas trees at Sutton Place Hotel are truly beautiful, and each is unique. 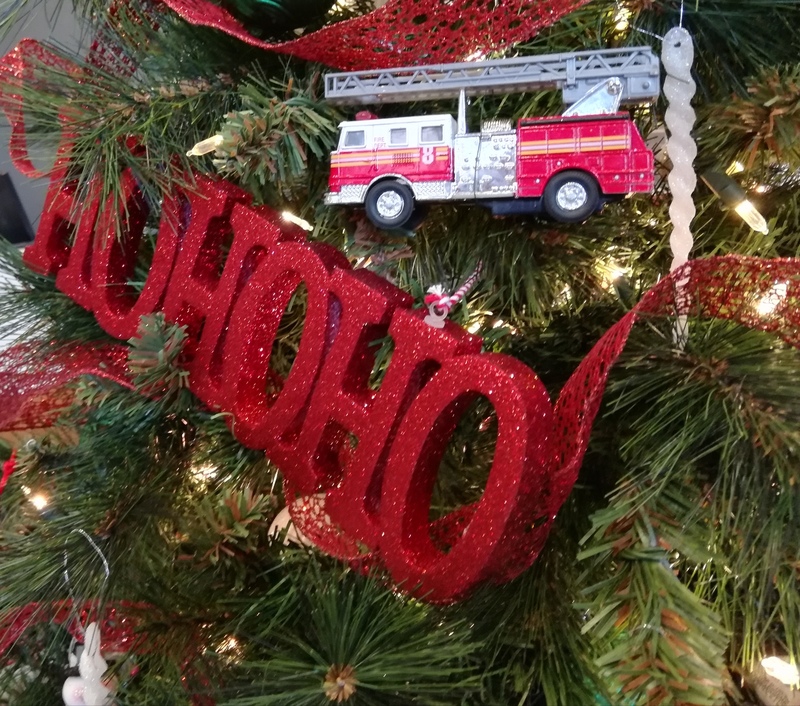 The trees were decorated by several local organizations and businesses and until January 3 2019, those trees are contestants in the Sutton Tree Pageant. 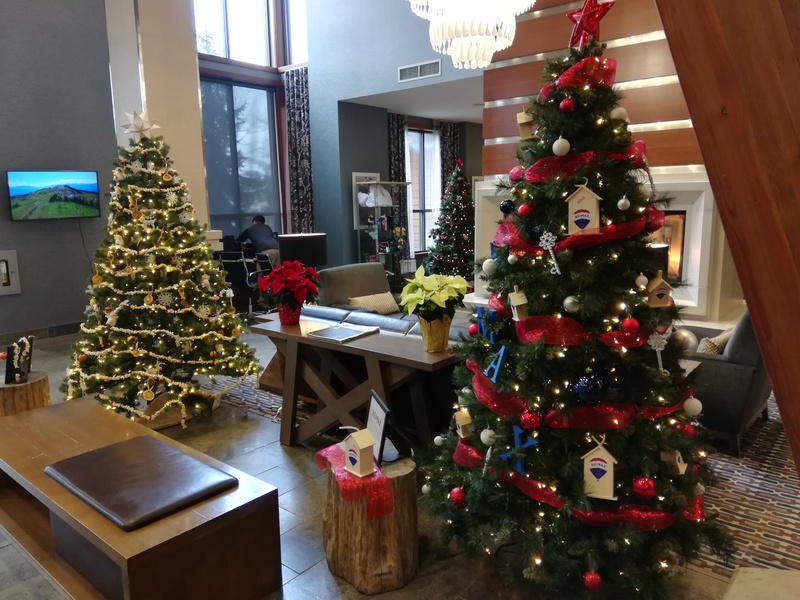 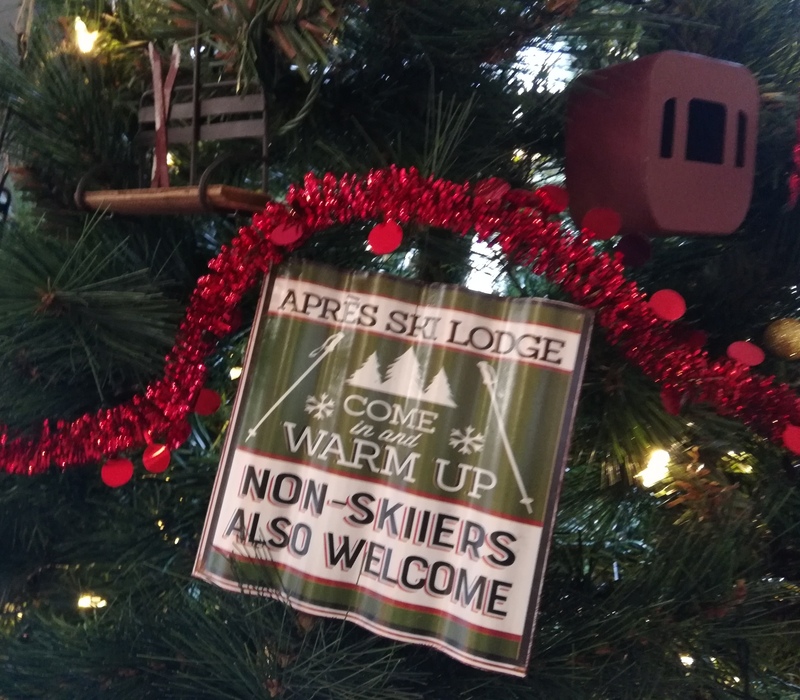 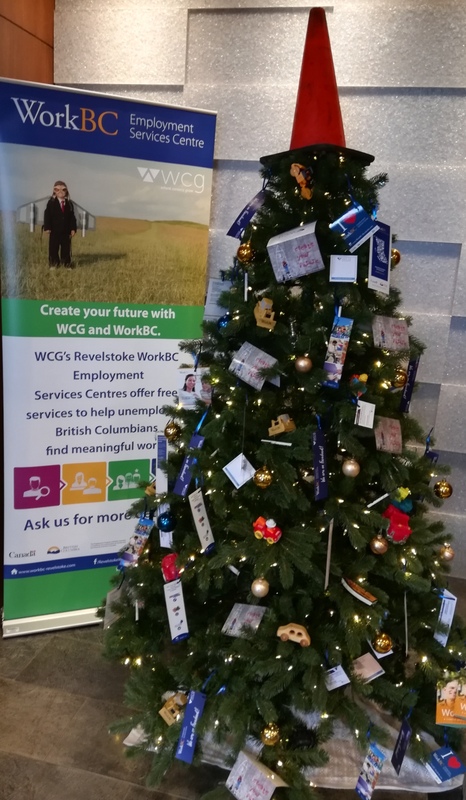 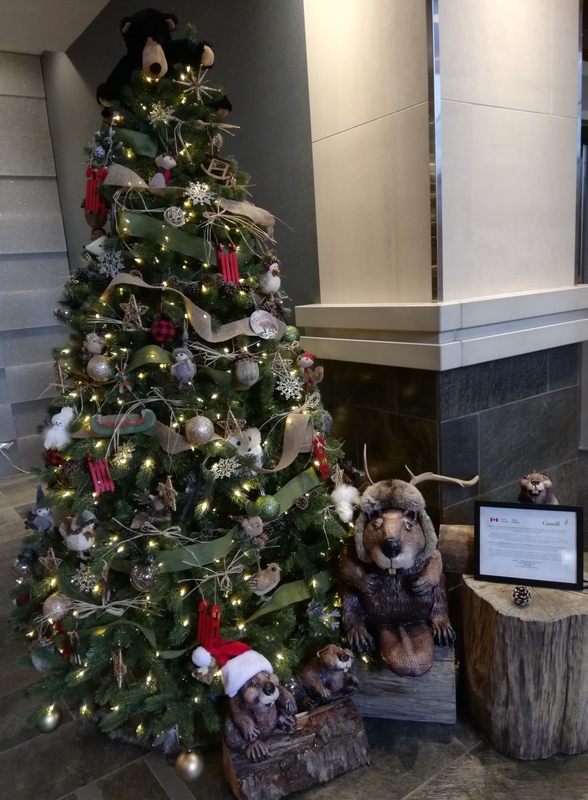 Anyone can head up to the Sutton Place Hotel and, for a minimum donation of $5, cast their vote for the winning tree and be entered to win one of several amazing prizes. 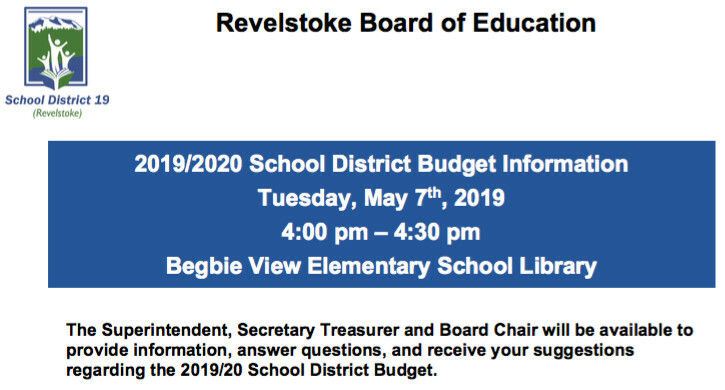 Proceeds go to Revelstoke’s Community Connection Society. 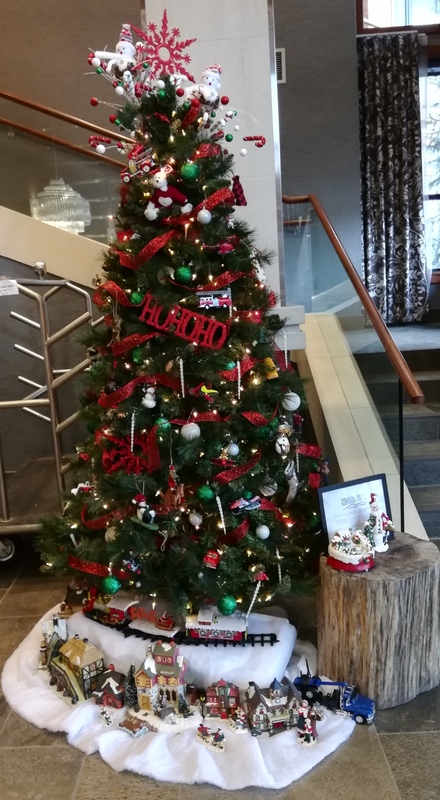 The prizes include accommodations at various Sutton Place Hotel locations, a day of heli skiing with Selkirk Tangiers, gifts certificates to the Rockford and RMR retail RGEAR or Critical Parts, two tickets to a Vancouver Canuck home game, and a jersey signed by the Dallas Stars hockey team. 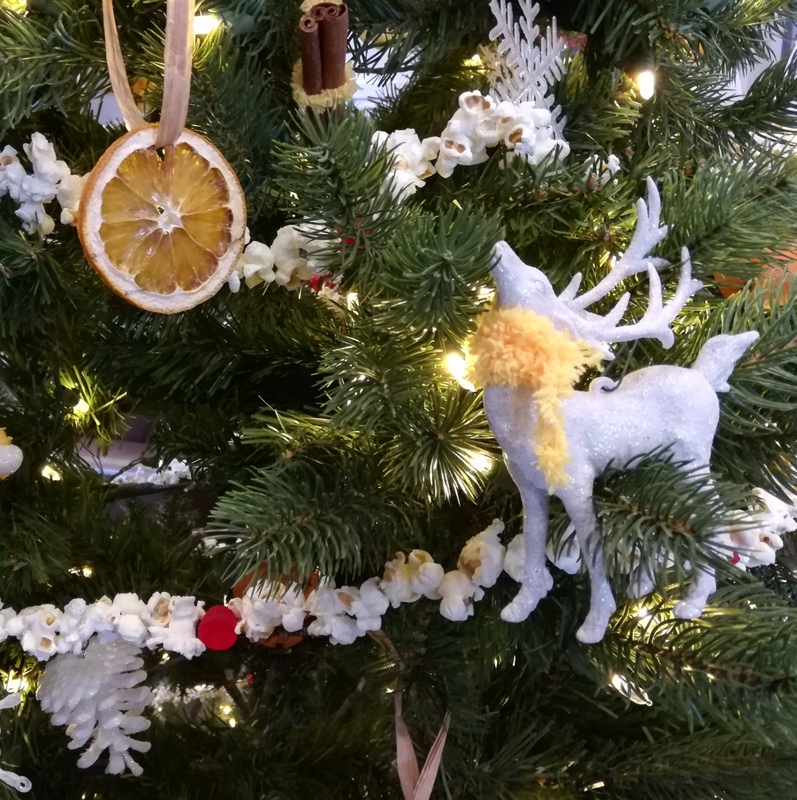 This tree offered a unique white and yellow colour scheme.